First time cruisers share the knowledge they learned their first time out to sea, so you don't have to learn it all from scratch. Your first day at sea can be overwhelming. We break down everything you need to know to make your first day a success. Why figure out the cruise lines' secrets on your own? Let us tell you everything you need to know. There's no need to spend any extra money onboard your cruise ship. Our tips help you keep your money in your wallet. 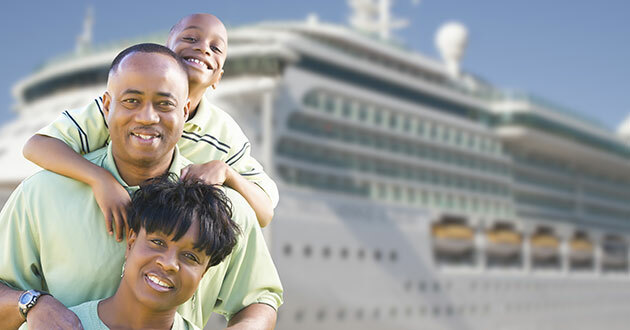 Find out how to get "free" money to spend onboard your cruise ship and where you're allowed to spend it. There are plenty of fun activities included in your cruise fare from pool deck fun to evening shows. Our expects share their top tips on packing, saving money and maximizing your time onboard and ashore. Try these tips to help you customize your dining room experience and solve problems before they escalate. Find out why these cities perplex cruisers -- and learn how to have a great time anyway. First cruise in a small cabin? Be a courteous cruiser and follow these tips to avoid clashing with your travelmates. Discover some ways to spend your evening and how to get around in these five ports where cruise ships often stay late. Never Miss a Deal! Subscribe and Save.